he certainly brought with him the “bohemian” spirit. where creativity limits only respect for the earth and for others. Champagne Nowack Brut Carte d’Or is the leading wine of the estate. 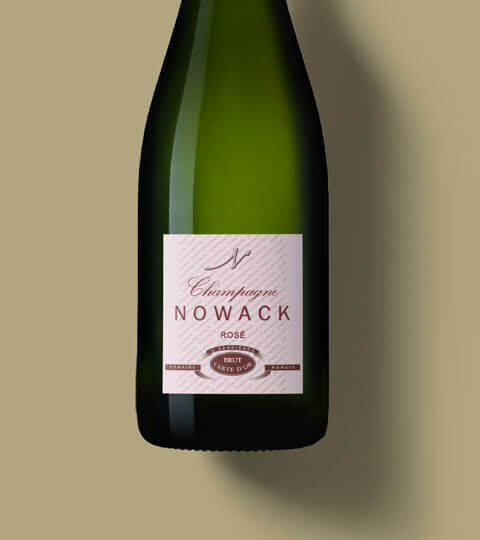 It is a balanced and harmonious champagne, made using the three traditional Champagne grape varieties, grown on our terroir. Those who appreciate subtlety and finesse will adore Champagne Brut Carte d’Or, which makes a perfect aperitif that everyone will enjoy. 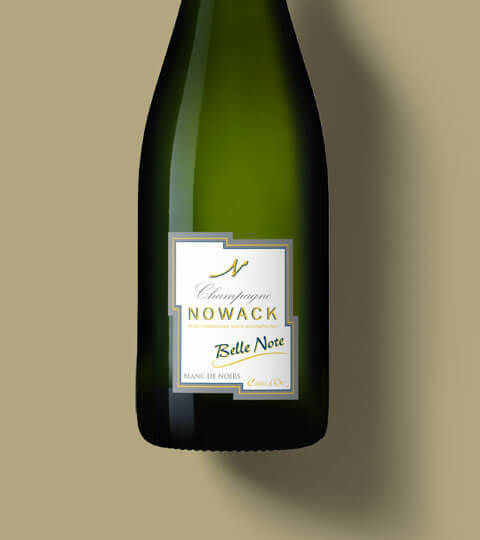 The three traditional Champagne grape varieties are vinified separately to extract their finest aromatic properties, and then meticulously blended into the final champagne. 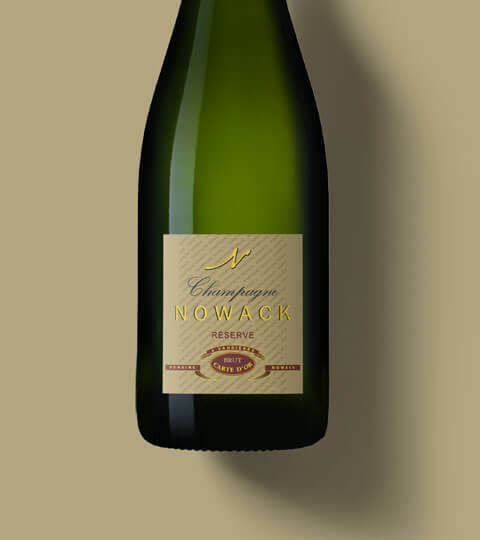 Champagne Nowack Demi-sec Carte d’Or is a medium-dry champagne made using the same type of blend as the Brut Carte d’Or. Its sweeter flavour makes it a delicious partner for desserts or dishes requiring a sweeter wine. 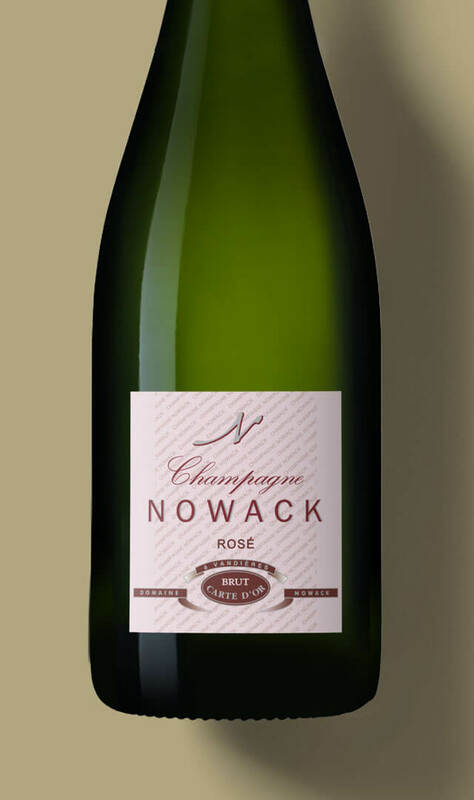 Champagne Nowack Rosé is a rare and confidential champagne, made with a Pinot Meunier blend. With its soft and generous texture and aromas to match its colour, this is a wonderful champagne for all your exceptional moments. 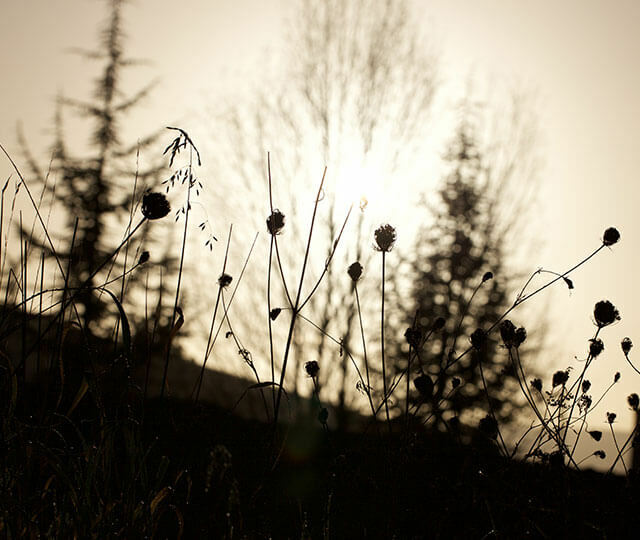 Making this champagne requires an intense effort that starts in the vineyard with the selection of grapes from a plot of forty-year-old Pinot Meunier vines called ‘Les Grillauts’. 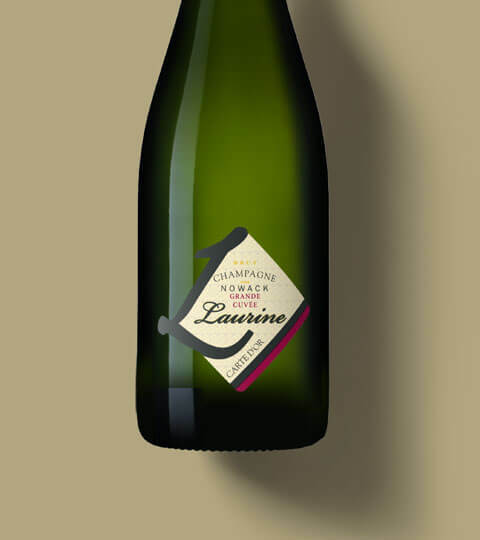 Laurine is a Blanc de Blancs champagne. 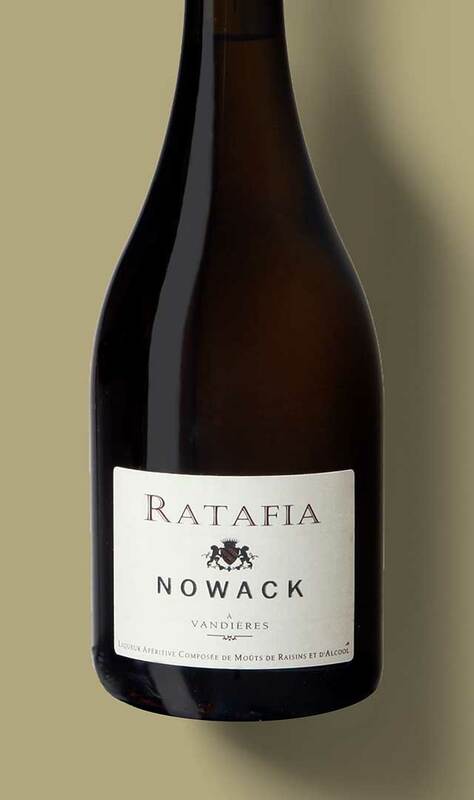 It is made exclusively with Chardonnay grapes which give it its lively character and freshness. This champagne comes from two plots of Chardonnay vines. Stringent selection in the vineyard. Separate wines are made from each plot and blended. Made without malolactic fermentation. 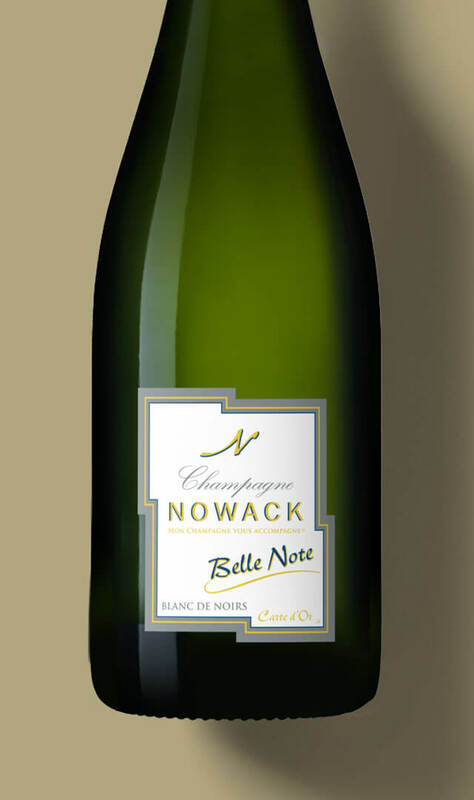 Belle Note is a Blanc de Noirs champagne made exclusively from Pinot Noir grapes. This is champagne with body, but which still boasts nice finesse thanks to its notes of fresh or dried fruits. 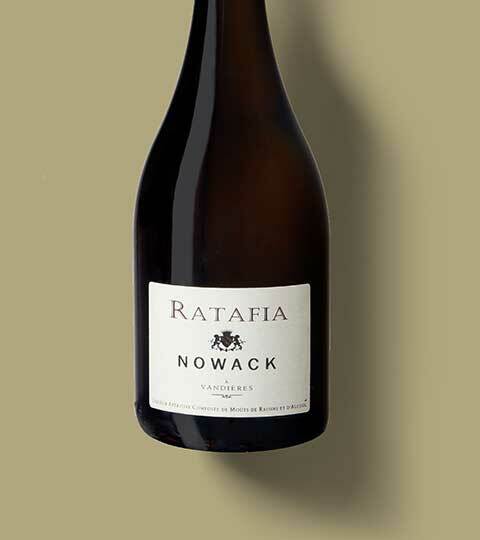 This wine is made without malolactic fermentation to preserve its full aromatic richness. Champagne Nowack Réserve is made using the three traditional Champagne grape varieties. 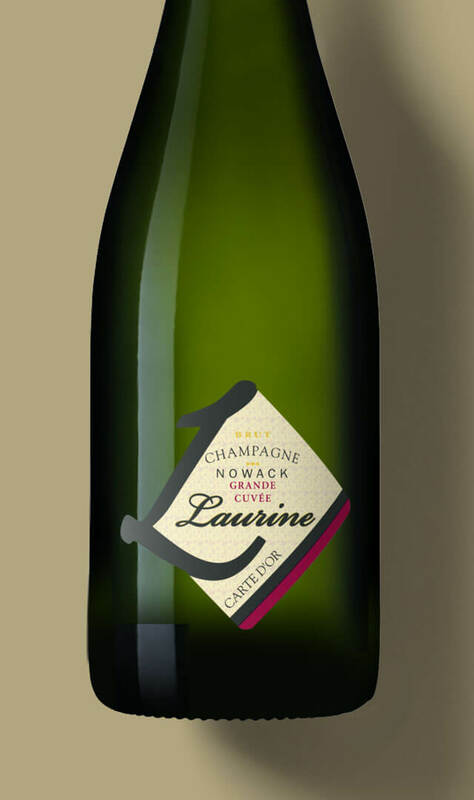 It originates from a desire to bring out the typical character of champagne of another age. This is a champagne with a soul. The name of this liqueur comes from the ancient custom of finalising a business deal or a contract over a glass of wine. The agreeing parties used to clink glasses and say the Latin words res ratafiat, meaning ‘the deal is done’. To preserve a good grape flavour, fermentation is stopped by adding marc de champagne (pomace brandy) to the must, which prevents the action of the yeasts.